Now a day’s computer is very useful in our life. It is used in every department of life especially in the offices, homes, big or small organization. Computer has two fields hardware and software hardware means the parts of body like hard disk, monitor, Key board, mouse and motherboard. Software means the application and programs we use in the computer. The engineer who makes these programs for organization, different industries and for other companies is called software engineer. Best Software Engineering universities in Pakistan. Demand of software engineer is very high in industries, companies and govt organizations and also other different fields. Salaries of software engineers are quite high wherever they work. Companies and heavy industries increases the salaries of software engineer day by day. Software engineer helps the organization and the companies for making a new software program like if companies and organization have a new project they want to work in that project they will make a new program with the help of software engineer. Which University Is Best For Software Engineering In Pakistan? In last 50 years the field in which science did lot of development called computer science in North America and Europe. Students can get knowledge in computer science in the field like algorithms, processes, information, languages and system software. Computer science in CIIT provides solid theoretical education to the student and they can be able to meet different challenges in different type of fields. CIIT graduates are quite intelligent and professional they thing positively and independent and provide solutions. They have their own ideas with positive thinking and they have contacts with the industries and organizations. Computer science graduates are always be able to find a good job at vide range related computer science fields like application programs , system development administration, hardware development, system support, system support information system etc in the national and international levels. Comsats University offers undergraduate program and postgraduate programs. These are the program offer by the department of CIIT on undergraduate levels. These are the program offer by the department of CIIT on Graduate levels. You apply in Comsats, Fast University, International Islamic University of BSCS and BSIT, BSSE. Because in these univerities if you have minimum 50% marks in ICS then you apply for admission in these programs. Sir kya bs(SE) ek mukamal engineering h. ores k liye ITU or USA m se knsi uni best h. or es ka scope kitna hai future m.
Yes, BSSE is a complete engineering and related to IT field. This engineering is much better scope in future market. If you have skills and good concepts of Software Engineering then you get good job placement in Future. If you have 49% so is it apply able? If you have 49% then you only apply in Virtual University. If you not want to Join Software Engineering then go ahead for BSCS or BSIT. These two fields are also good. VU? Is that one is good for software field?????? Can yew also tell me about the semester fee of fall 2014.. and date vhen first semester starts??? Dear Saba you want to know the fall semester Fee and Admission Dates for which university. Name the University than we will guide you. Sir i went to become a software enginees. Sir tell How many money are required for this. I got 62 fesad marks in ICS. Dear, Faisal Rasool different universities has own fee structure. But if you rounded figure of 4 Years total 8 Semester Fee 60,000 * 8 = 4,80,000/- of 4 years. Sir i scored 627 marks in matric .The percentage age is 59.725.I want to apply in BSCS in which university i can apply ? Plz give your contact number also. AOA, sir can i get admission in fast, Comsats for Bs soft eng while i have scored 57% in metric and 58% in ics-I? Yes, Dear you apply for admission in these universities. But you need to get good marks in entry test. 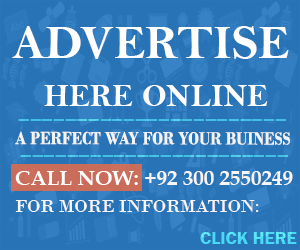 Tuition Fee Rs 3,68000 for complete Course/. Yes Comsats offered many scholarship to the needy students. When you get admission you apply for scholarship than university give you stipend on you academic performance. There is no age limit for Software Engineering in Pakistan. Sir I have got 63% marks in part first of FSC Pre engineering and waiting for result of part second.Hope so I get 70-75% marks in part second.Can I apply for computer software engineering in UET taxila? Yes, you apply for computer science engineering in UET Taxila but you need to get good marks in entry test conduct by UET Lahore for all campuses. If you want to apply in UET Taxila than first go for UET Lahore entry test. After the declaration of UET Lahore result UET Taxila announced undergraduate admission. So after this you apply for admission in UET Taxila. Sir what is a fee structure of Comsats(main) for Software engineering ??? 67000 or 80000 per smester ??? Yes, Amir you apply for Software Engineering in UET Lahore. Admission in UET Lahore should be expected in the first week July. When admission announced than you apply online through UET Lahore Admission Portal. sir i.com ke bad software engineering ho sakti kia? If you have studied the subject of mathematics in I.Com than you apply for admission in Software Engineering. sir comsats abbottabad campus doing (non engineering) computer software…. plz guide me can I apply for non engineering computer software in comsats abbottabad compus…?? Comsats Islamabad is one of finest university for software Engineering. It all depends on NAT test conduct by NTS. sir plz bta dain k QAU main BS(cs) ka merit kitna a? International Islamic University not offered BS IT. sir i got 69%marks in matric and 49.09%marks in ics part1 pl,z advice on which university are best for bscs & bsse sir i can affoard the fees of private university also i want to become a big programer pl,z reply me thanks..
Sir i got 64 marks in nts nat ie and 430/550 in fsc part 1 and in matric 892/1050.can i get admission in software engineering at comsats islamabad?please reply to me as soon as possible. Yes, Junaid you get admission in Software Engineering your marks are too good. Let see where the merit is fall. Both fields are known best but electrical engineering is better as compared to software Engineering. Software Engineering is also best and good scope in Pakistan. So, Finally electrical engineering is known best. Student who pass FSC Pre-Medical should not apply for software Engineering. There are many courses which is online related to computer. You check online computer courses on internet and go for guidance. Yes, you apply for Software Engineering. But scholarship offered by University according to their own policies. You apply for admission in public universities and then get HEC Need Base and PAK USAID Scholarhsip for the needy students. Yes, you get admission in IST Islamabad. You marks is good and give strong position in merit. Waiting for merit list where the merit is fall. i hope i will get above 60% in f.sc..
suggest me which field is better for me.. ?? nd in which university i can get admission.. i am interseted in civil, ssoftware, mechanical engg.. Both three fields are good. But first you prefer Civil and Mechanical Engineering. But Civil is best from all three. Software Engineering is also best. According to your marks you easily get admission in Civil and Software Engineering. Currently many university admission open for Civil Engineering. Sir mery 55% marks hae fsc mae..kya mae software engineering ma admission lay sakta hoo?? Agr lay sakta hoo to kis uni mae?? Yes, you get admission in Software Engineering. International Islamic University, Comsats. If you get good marks in entry test then easily get admission in BSSE. Sir pakistan mae BS(cs) ka scope hy ya nii?? This field has scope in Pakistan. Computer field the only field in which you have work independently on the internet and get earning. You skills and abilities will explore new opportunities for you. But I suggest you to go for BS Software Engineering. But if you currently study BSCS then proceed study in this field. Good one and helpful for you. Don’t lose hope. what is the scope for software engineering from comsats ? and what is difference between BS(SE) BE(SE) BSC(SE) ? Sir please tell me the fee criteria for software engineering in comsats??? salam sir I have secured 55% marks in ics part 1 with compart in physics and I want to apply for software engeeneering kindly guide me in which university can I apply now?? Dear, you apply for software Engineering in many universities like Comsats Campuses, International Islamic University, UOL. sir ma apcoms sy bsse krny ja rha hn…iz it best option??? Yes, APCOMS is also better for BSSE. Because APCOMS degree is affliated with UET Taxila at this is good and best for you if you studied BSSE in APCOMS. sir apcomsbest hai ya comsats bssr kliay??? sir apcoms best hai ya comsats bsse kliay??? which universty iz bst for me…comsats or apcoms for bsse??? when classes start comsats lhr software engineering ??? plz tell me about the admission date of IIUI nd fee structure of software engineering?????? Sir,I got 65% in ICS how much marks(percentage)should I get in NTS or NAT test so I can get admission in UET or Comsacts or any other good university for software engineering. 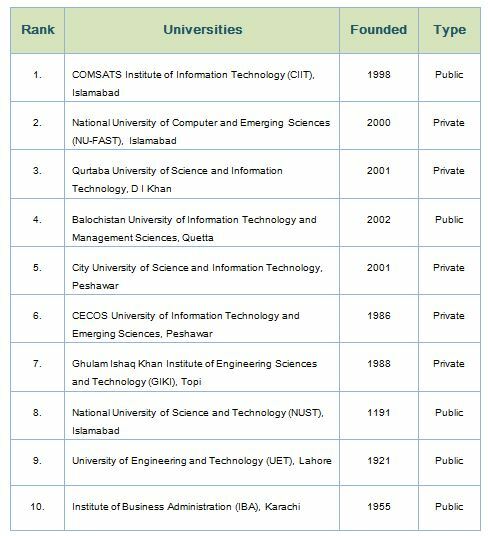 Best universities for software Engineering is Comsats, International Islamic and FAST for Computer Engineering. You must score 75% marks in NAT Test for admission in Software Engineering. When are coming UET entry test result in Lahpre ? Entry Test should be held on 24 August. New Entry Test should be held on next year. i want to study software engineering i will have to apply next year will i get admitted and i saw that comsats and fast dont offer software eng at bs level they offer only bs in computer sc. FAST University not offered Software Engineering. FAST offered Computer Engineeering and Comsats offered Software Engineering. Sir plzz tell me which of these university is best for software engnerring UMT or university of lahore. University of Lahore is known best for Software Engineering. sir , ap ke khial main SE uet taxila ke bahtar hai ya comsats ki ??? m going for uet taxila…halanke comsats main mera ho gia tha but main ni giya coz uet top 5 engineering main ati hai and software bhi to engineering hi hai!!! UET Taxila is also best and good in software Engineering. Comsats is also good university but if you get admission in UET Taxila then its good for you. sir, I have got 58% marks in FSC is there any university at which I have chnce to secure admission in civil engineering. Dear, if you want to apply for Civil Engineering then you apply for Civil Technology in NFC Multan. Sir I am going for software engineering from comsats … sir please tell when admissions open in comsats and can i give nat test before admissions or when admissions open. Dear, you apply for admission in University of Sargodha for BSSE. But merit is not confirmed. If you afford fee of Rs 45,000 per semester then apply in International Islamic University. dear sir can you tell me about iqra university of peshawar for software engineering. plz tell me about its ranking.. This university is good for software Engineering. Secondly you check the HEC Recognized universities for Software Engineering. sir ma na metric humanities subjects ma pass kia .Jis ma Math English Civics Genreal Science Pak Study or Islamic Study ha .OR SIR ma iss Time ICS 12 Year ka STUdent ho.jis ma Computer Math State English Urdu Pak Stuy ha .kia ma BS Computer software Engineering ma Apply ker sak ta ho. Yes, you apply for BSCS after ICS. What is the criteria of Alevels students to get admission in szabist, NUST, FAST, IBA? and if i want to enter in software engineering field then as they need equivalency which subjects would be counted for software engineering field? Chemistry Maths and Physics would go or not? For Admission in Fast University you must To compute equivalent marks for O-level students, add marks of eight subjects (Chemistry, English, Islamiat, Mathematics, Pakistan Studies, Physics, Urdu, and Biology or Computer Studies). Secondly Software Engineering is not offered by FAST it only offered Computer Engineering. For Admission in SZABIST then it must approve from IBCC Board. SZABIST not offered software Engineering it only offered BSCS. For Admission in IBA Karachi it must approve from IBCC Board. IBA Karachi not offered BSSE it only offered BSCS. sir i have applied in pucit and gcu for bscs ! University of Gujrat Lahore Campus. BZU Lahore Campus, Superior University. At this situation you will apply for admission in UOG. But you must affix hope certificate with admission form. Yes, your admission is possible in Islamic University. Because every year merit is totally different. If you get good marks in entry test then you easily get admission in BSSE. Dear, if you want to apply for Software Engineering then you must studied the subject of Maths. If you studied the subject of Math then you apply for admission in BSSE. Secondly, Punjab University is cheapest form all others universities in Lahore. is sargodha university is not good for softwawe engineering?? This University of Fair for software Engineering not bad. But if you cannot get admission in other Private Universities or Public Universities for Software Engineering then UOS is best. If you get admission in University of Sargodh for Software Engineering then you studied. After Matric you will not apply for software Engineering. You apply for software Engineering after FSC or ICS. No, you will not apply for software Engineering with FSC Pre-Medical.There is requirement of Add Maths for admission in Software Engineering. Sir kya UOL ki software engineering degree ki value hai ya nae aur un k admission dobara kn start ho g December m ya January m? Yes, this university is good for software Engineering. Currently admission are open till 20 Sep. You will apply for admissions. salam sir kya comsats complete software engr; karwa rahi hai ???????? Yes, Comsats offered Complete Software Engineering. Sir please tell me…. Kya Comsat me admission ke liye Part 1 se apply karna party hai? If you want apply in Comsats then you must pass the FSC. Sir can i get admission in B.Sc engineering 3rd year after passing B.Sc?is entry test required for this conducted by UET?from which course entry test be made F.Sc or B.Sc?? Plssss tell me im so so upset. No if you want to apply for BSc Engineering then you must appear from 1st Semester. Sir can i get admission in B.Sc software engineering in 3rd year after passing B.Sc with computer science? ?is entry test required for this? After Matric their is no single institute who offered Software Engineering. You appear in ICS then after this apply for software Engineering. Sir agar kisi ki 2nd year ma chemistry ma. Sappli ho… tw kia wo comsats ma admission lay sakta ha on the base of affidavit form..
Agar comsats ma admission nii hota tw is k ilawa kis university ma ho sakta ha? For Applying in Comsats you must have pass the previous qualification. sir software engineering ky lia fsc ma kitny percent marks hony chahia or nts nat ma kitny percent result ho ka admission easly mil jay?? sir software engineering ky lia fsc ma kitny percent marks hony chahia or nts, nat ka result kitny percent hona chahia ka admission easly mil jay??? You have minimum 50% marks in FSC for admission in Software Engineering. sir software engineering ky lia jo entry test hota hai universities ki terf se us ma marks kitny percent hony chahia ta ka admission asaani se mil jay? You must have 50% marks in FSC for admission in Software Engineering. Secondly universities has conduct entry test for admissions. Yes, you apply for software Engineering in Iqra National University Peshawar. Yes, this university is good for software Engineering if you have not any alternative route. Mean currently not get admission in any other university. So, finally go ahead for software Engineering in Iqra University. Dear, every year merit is totally different. SO, I can’t give you a confirmation of admission in UOS. Iqra University is far most better then abasyn university. So, I suggest you to go in Iqra University for Software Engineering. Sir, what’s the NTS score required by CIIT isl for software engrr ?? Dear, if you want to get admission in Software Engineering then you must have 75% marks in NAT Test for getting admission in Comsats for software Engineering. Dear, on these marks you will apply for Software Engineering in Virtual University which give you a admissions. Entry Test for Software Engineering conducted through NTS is 90 Marks. dear sir,,,,,,,,i m going to do electrical engineering from iuse an affiliate of uet taxila…..is it gud decision or just the wastage of money and time? Dear, Talha if you institute is recognized from UET Taxila then it a good decision to study in this institutes. If you engineering faculty is skilled and qualified then it good for you. Because in future multinational companies need your skills, abilities and knowledge. Creativities in mind present your personality and mind in front of others. So, be concious for your good and positive approach in Electrical Engineering. Finally, I suggest you to study in this institute which you currently study if affiliated from UET Taxila and groom yourself. Hope For Best. Good Luck for Bright Future. sir i got 90%in matric 74% in fsc nd 59 in nat in medical so now in comsat where i got admsssion easily in biosciences phycology software engg r in bio informatics help !!!!!!!!!!!!!!! You apply for admission in Comsats on your interested field. Every year merit is totally different. So, you apply on your interested field and apply for admissions. Yes, you apply for Software Engineering in Comsats. If you have 75% marks in NAT Test. Then you easily get admission in Comsats. Sir,i have got 63% marks in fsc pre-engenering. And i want to become software engener. Which university is best for me. And my resources is not very good. Plz guide me. Dear, if you want to apply for Software Engineering then Comsats is best university of you. Comsats will announced spring admission soon. Comsats offered needy scholarship for the students. So , Finally you apply for admission in Comsats. Dear, Jehanzeb if you apply in Comsats then you must score 80% marks in NTS for admission in Software Engineering. Secondly, Comsats and Fast both offered scholarship to the needy students. If you get admission in these universities then you easily get scholarship. New Admission of Comsats should be announced in Nov/Dec 2014. Yes, you apply for Software Engineering if you studied subject of Maths in DAE. Each Campus is best for BSCS in Comsats. Specially Lahore and Islamabad are best for BSCS. sir is vu good for bsse? If you not get admission in anyother university of Pakistan. Then VU Us best for you. If you have good skills, abilities and knowledge regarding software Engineering then you will be the good student. Secondly, VU faculty is good for software Engineering. Finally, go ahead with positive mind in VU. Can you give me the admission information of CIIT when will open and BSSE fee structure for per semster. And also I am dieing to know that I cleared my intermediate in PE with 63.76% in 2012. So I am eligible. ?? Admission should be expected in the month of Nov.Dec. When admission announced then we have updated on the website. Finally, yes you eligible to apply for admission in Comsats. Yes, you apply for Software Engineering in Comsats. When admission annonced then you will apply for admission in Comsats. If you get good marks in NAT Test then you will easily get admission in Comsats for Software Engineering. Currently admission are open now and last date is not confirmed yet. You must have 45% marks in FSC for admission in Software Engineering. Fee Structure is detailed mentioned in the prospectus regarding Software Engineering. Dear, if you get 50% marks in FSC then you apply for admission in Software Engineering. You apply for admission in Comsats University. Sir g software engg. Ka fee structure kia hai plzzzzzz tell me…. Fee Structure for Software Engineering is minimum Rs 82,500 for Private and Rs 25000 in Public. Sir g private Aur public degree ki value same ho gay kia ? Yes, dear there is not difference between Private and Public Degree. The thing is that how skill you are in your degree if you have skills and better knowledge regarding software engineering then you have easily get good job in the market. Sir i got 44% marks in ICS.. Can i apply for bs software engineering?? Sir I got 814 marks of 76% in ICS so in which eng where I can apply? Yes, dear you will apply for admission in Comsats for Software Engineering in Spring Admissions. Last Date of Form Submission 04th Dec.
Sir software eng dual degree is better than single? And whats there benifits ? Dear, let me clear the concept of Dual Degree. Dual Degree mean you have study half course in Pakistan and half course in partner universities of other countries. So, if you select the plan of Dual Degree then you got the degree of Foreign university. This is best for you if you afford the fee plan of foreing university which is linked with your Pakistan University. If you get dual degree then this is beneficial for you in country from which you get degree. Like you go for half study in Australia then you get well job opportunity in Australia with the help of BS Software Engineering from Australia University. So, Finally Dual Degree is the best opporunity for the students. Hope you well satisfied with my all statement and helpful for you. Yes, dear Comsats is best university for Software Engineering and BS Physics. Dear, if you interested for BS Physics then go ahead this good field and found to be good Professor of a Future. You have also job opportunity in Atomic Energy Commission. Finally, BS Physics and further study in this relevant field should be good for you. In last it’s your interest either you go for Software or BS Physics. If you go ahead for Software Engineering then this is upgrade your future bright also on you skills and knowledge. 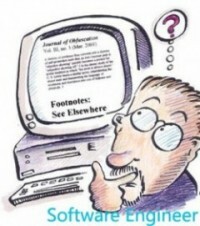 If you mind collect good knowledge of IT then select software engineering otherwise not. Comsats is best then Uog. Sir, i have got 67% in FSc pre Engg can i get Admission in Fast? Yes, you get admission in Fast University if you get good marks in entry test then you easily get admission in FAST. Yes, dear you will get admission in Comsats Spring you will apply for admission till 04 Dec. But every year merit is totally different. Dear, Asad every year merit is totally different. So, I can’t say your anything regarding admissions. If you get good marks in entry test then you will easily get admission in Comsats for Software Engineering. sir plzz tell me about Abasyn university peshawar and Agriculture university peshawar. dono universities me muje admission mil chuka hai…Abasyn me software me and Agriculture me computer science me….me kahan pe admission lon?? Your marks is too good for admission in Comsats, NUST and FAST. These universities offered scholarship to the needy students. Apart from this Internatioanl islamic University is best for BSCS. But dear I suggest you to go in Comsats with need base scholarship. NUST also offered scholarship for the needy students. sir i got 78% in matrc and 56 % in fsc.i am intrested in doing BCSE can u giude me which uni is best for it in lahore…and one more thing sir bscs is better or bsse..plxx tell me ??? thankfull to u .. Both degree are best either you go for BSCS or BSSE. But BSSE is far most better then BSCS. Comsats Lahore is best university for software Engineering. sir i want to apply in software engineering , plz tell me at least how many marks are required in fsc ??? If you want to apply for Software Engineering then you need to get minimum 75% in FSC. sir can the students with pre-engineering group apply in BSSE in any university?I have listen about UET that it allows only ICS students. Yes, student having FSC Pre-Engineering should apply for BS Software Engineering. But UET not offered Software Engineering it only offered Computer Engineering. Yes, you will get admission in BSCS but need to study the subject of Mathematics in ICS. If you have study the subject of Statistic then you will not apply for BSCS. Both fields are known best either you for software Engineering of BSCS. But software Engineering is known best from BSCS. Yes, you have chance of admission in Comsats. and i want take admission in softwear engg and which uni. is best for softwearengg. Best university for Software Engineering is Comsats Islamabad, Riphah and NUST as well. Both universities are good and best. But Karachi University is best and superior institute then Mehran University. SO, I suggest you to go for Software Engineering from Karachi university. New Admission will be announced in the month of June/July. Remember one thing that QAU announced BS Admission only once in a year. sir my bro is 72.81% in intermediate science group what is suitable for my bro there………..????????? I have suggested to go for BS Software Engineering from Comsats Islambad. Apart from this after this degree he will have chance to apply in Pakistan Army. Sir Ma 2nd year ICS Computer science ma (Computer Math State) subject ka Student ho..
Or Ma is time Degree College Quetta ma Ics 2nd year Ma ho….Ma na Metric Arts Ma English.Math.General Science.subject ma Federal board se pass kia..
Kia ma BS(SE) Ma Admission laa saktha ho.Software Engineering ma..
Or is ka kitne semester ha .Fee kitni ha.per semester ka..or konse documents sath lane zururri ha.Baluchistan board ki migration lazmi tu ni. . Yes, saboor Agha you will eligible to apply For Software Engineering Program in many universities. You will name the university then I will further guide you in detail. I want to ask that i have applied for BS (IT) program at Bahria university islamabad. But this program has not been listed in the NCEAC’s list of accredited programs for bahria isb., this program is not accredited by NCEAC. While the BS CS program has been accredited. Dear, Saim A.S you will get admission in Bahria Unviersity for BS(IT) then it should be very greatful for you from APCOMS. I will suggest you to study BSIT from Bahria University. Secondly, this program will accredited soon from NCAEC because Bahria university is renowned university then APCOMS. So, BSIT from Bahria is good and very helpful in future. Finally, continue your study in Bahria Islamabad with positive mind. Both Degree are known best it’s depends on your interest. But Electrical Engineering is far most better then software Engineering. If you want to transfer your credit hours then you will contact favourable university. sir i got admission in numl university in software engineering program plz let me know about numl rating is it is a good institution to study software engineering as i scored 52 % in ics i have also applied in comsats in bs software engineering but with the program the have written bs software engineering ( non engineering ) what does it mean ? NUML University is good university for Software Engineering. But if you get admission in Comsats then it’s good for you. Secondly, Software Engineering is eligibility of 50% then all other engineering program. Software Engineering will fall in Non-Engineering Programs. But after passing Softwar Engineering you will called to be software Engineering. Sir Me SE karna chata ho. Me ny ICS kia hai 483. marks hai uni ki guide line chaye. For Admission in MESE you must have BS Degree with 2.5 CPGA. Slam.Sir I live in Lahore. I have completed D.A.E (electrical) with 66%. Now i want to study in software field. Someone told me that Punjab University is best for this. I want some guidance from you.First plz tell am i eligible to do BSSE or BSCS and second plz tell which is best from these two. If you study the subject of Mathematics in your DAE then you will eligible to apply for Software Engineering OR BSCS. Secondly, Comsats University is best for Software Engineering or BSCS. Software Engineering is best and far most better then BSCS. Yes, you will get admission in UET Lahore or UET Taxila. If you have minimum 900 plus marks in HSSC then you will easily get admission in UET Lahore or UET Taxila. Secondly, if you have good concepts then you will easily pass the entry test. These two universities are known best in private sector. Secondly, fee structure of both universities will be mentioned in the website and is minimum 1 lac 15,000 per semester. But it’s not confirmed it’s minimum fee which I have said you. Sir plzzz ye bta dain k comsats university main armed forces k liy koi fee consession hti hai ? Comsats offered many scholarships. But you will eligible for Need Base Scholarship. Secondly, Comsats has not offered any special scholarship to the wards of Armed Forces. Finally, Comsats offered many scholarships so you will apply to make your way easy or affordable for study. Sir can i do BS software engineering after ICS-Statistics? and which university is better. The subject of Math is compulsory for admission in Software Engineering. Comsats is best university of Software Engineering. UET Lahore conduct it’s own entry test every year. It’s compulsory for you to appear in UET Lahore entry test for get admission in other pubic sector engineering universities. UET Lahore not offered BS Software Engineering, this university offered Computer Engineering. Yes, Waseem you will easily get admission in Comsats if you score well in NTS Test. sir how much marks are required for software engineering in texila or any other university..
And about scholar ship of different univesities. And about the NTS test..
All universities offering scholarships for needy students expect Riphah. sir. mene bscs kia hua ha .kia men ms software engineering me admission la skta hu ? my total gp is 3.32.
kindly tell me which is best ,mscs or msse? If you have degree of BSCS than go ahead for MSCS Why you want to go for BS Software Engineering. BSCS is a good field and proceed this same degree in future. You want to build some skills and than you got thousand of jobs in market. BSCS give you a many jobs if you have good knowledge, skills and abilities. Sir.. Would u please tell me that.. if one is a student of pre-medical FSC and is willing to to become a software engineer what measures he would take..
Student passed Fsc Pre-Medical will ineligible to apply for Software Engineering, their is compulsion of Math subject for getting admission in Software Engineering. Dear, Zulifar if you want to go for Software Engineering than best known universities will be mention in the post. Secondly, fee of all private universities is 70,000 per semester minimum. Finally, NUST university is also known best for Software Engineering. Nust also offered scholarship for the students. If you have any query than you question through this platform. Yes, you will eligible to apply for Software Engineering in Comsats. sir 43% marx han inter may to kya virtual uni may admision hoskta bsse or bscs? You need to score minimum 50% marks in FSc for applying admission in BSSE, BSCS. If you get good marks in entry test than you easily get admission in Comsats for Software Engineering. Salam Sir I have scored 65 % in matric science Sindh board or inter pre-engineering part 1 main 54% hay or part 2 55% to 58 % Kay chance hain can u plz guide me I want to choose software or Computer engineering so can u tell in which university should I apply I can afford any university but I prefer that university must be located in Karachi if there is non in Karachi then tell me any other university and also I want to know I recently find out there is one course call accp pro from aptech app ka is Kay baray main Kia khiyal hay plz reply fast sir. 60% marks py software eng mn admnsn mil jata hy??? Yes, you will eligible to apply for Software Engineering in any university. sir, which engineeringis best for me…? These are known best universities for Civil Engineering. Please guide me what to do after my exams are over and in which universities I should apply for admission?? I have recommended you a some universities in which you easily get admission. But you need to get good marks in entry test. Need to get good marks in entry test than you easily pass the entry test. Student having Fsc Pre-Engineering background will eligible for Mechanical Engineering. So, you are not eligible to apply for Mechanical Engineering. Fee Structure is detailed mention in the official webpage of NFC and prospectus. sir which universities are best for software engineering? i am very confuse about it? is international islamic university and comsats islamabad are best or not? Both universities are known best. I have suggest you some universities which offered Software Engineering in Islamabad region. Sir you removed my comment???? Please provide me guideline about what I asked already??? Mr Irtza I reply you soon in detail. sir kia civil engg. mein ics(phy..) k baad admission ho jata hai ? plz tell me sei ? Student having the ICS background will ineligible to apply for Civil Engineering. sir i got 83% in matric and then 72.7% in ics part 1st now i hope i will get more than 75% in 2nd part. with these marks can i get any scholarship in comset university?. if it is possible then how much ???? plz sir rply me as early as possible. Yes, you will eligible for scholarship in Comsats University. However, you need to get marks in NTS Test conducted by Comsats. Dear Shahzaib can you tell me question again than I will guide you in detail. sir ics physics k bad kia electrical eng.. mein admission ho jata hai …. agr private university mein ho jata hai to kon kon see universities electrical eng… kr waty hein …plzzz sir g kuch detail mein bta dena kiun k mujhey bohat ziyada tension hai ess baat ki ??? Student having degree of ICS will ineligible to apply for Electrical Engineering. You must pass FSc Pre-Engineering subject to pass the entry test. sir! i scored 74.4% in matric and 72.2% in FSC part 1 can i get admission in comsats for BS software engineering?? Yes, you have chance to get admission in Comsats for Software Engineering. Sir assalam o aliakum.. Sir which engineering is best for me … 1.electrical telecomunication 2.electrical electronics. 3.software engineering. And best scope in Pakistan or abroad… Which is best plzz tell me sir….. sir!!! I am a student of pre engineering I graduated in maths physics and chemistry, now how I get admission in FAST or COMSATS for software engineering? Yes, you will eligible to apply in Comsats. You apply online through Admission webpage of Comsats. Assalam o Alaikum sir . Sir i got 65% marks in matric & now i want to became a Software Ingineer. But sir due to family problems i’m seeking for a university which have loo fee per samester can you guide me about it & university of islamabad or near in islamabad pindi plzz respond to my message i’m waiting sir…. These universities offered Need Base Scholarship for deserving students. Comsats recently announce admission so you apply for software Engineering. Comsats known best for Software Engineering. Comsats Islamabad, International Islamic University, Riphah, Bahria. fast university me self per addmission ke leye b test dena parta ha ????? FAST University only conduct entry test for merit seats. All seats are on open merit there is self seat for engineering. mery matric me 63% marks han or ics(math&pysics) me part 1 me 290 marks ha bt aik supply ha or abi exam deye ha part 2 ke kya mujhy fast lahore me software eng me addmission mil jaye ga ???? If you have above 50% marks in ICS than you will eligible to apply with supply on the base of hope certificate. These universities only offered admission on merit base. If you have 61% marks in FSc than you need to obtained good mark in entry test for getting admission in reputable institution of engineering. Assalam o Allaikum…. Sir mere fsc part 1 main 434 marks hain… Mjhy plz bta dain k main kis kis government university main apply kar sakti hun software engineering k liey??? Asalam U Alikum Sir, mein ny metric Mein 852 marks lia hn or f.sc pre medical part 1 mn 50% 0r insha Allah part 2 mn 70% say above hon gy kia mn comsats uni mn software eng mn admission ly sakta hon ya kisi or uni mn ? i want to become a software engineer ? Sorry, you can’t apply for Software Engineering with Pre-Medical background. Their is a compulsion of Math subject for apply in Software Engineering. kia mn CA kar skta hon .. isky lia kitny marks chye or ye kitana though hota h kia average student CA kar skta h ? CA is best for those student who have good command in accounting subjects. Because it need strong skills of maths and accounting. Secondly, it’s difficult for average student to continue with CA. But it’s all depends on your hard working. If you work hard and studied this degree from core of heart than you can definitely pass CA. Finally, I suggest you to go for CA if you are interested otherwise not. If you make decision to go ahead with CA than stay yourself in hard time during period of degree. Lastly, CA is not easy to complete but it’s not impossible. Yes, entry test is compulsory for admission in Comsats. When you apply on-line through Comsats than application fee mentioned through admit card. Secondly, Comsats offered admission on merit base not on self base. Finally, Tuition fee is Rs 52,000 and first semester you pay 91,000. UOG mai BBA mai admission k lia NTS ka test zaroori hai … ?? and morning classes ka merit kya hai …. ?? Sir plzz tell me k BS in softwear engineering k lye prepration kaha se kare koi book bta dein? ?aur entry test me maximum kitne % marks ho k admission hojaye aur kin subjects ki prepration kare plzz tell me. .
You apply for admission in University of Sargodha, Punjab University Lahore. These universities has low fee structure. I am a C++ Software Engineer graduate in Virtual Univeristy of Pakistan and I am glad to see the course curriculum of NUST and COMSATS Institute in Islamabad.Continue the software engineering faculty & alumnei support and achievements honoured by Higher Education Commission and don’t forget the SECP. I am a proud graduate of COMSATS but I would recommend FAST, Karachi more than any other. My marks in Matric is 87% and 56% in inter. Is is possible to get admission in BS Software engineering in COMSATS Islamabad? Check eligibility criteria on their website, bro. Why COMSAT is not good? Well, when I said ‘proud’ – I meant it. I didn’t say COMSATS is not good. COMSATS is a good institute and pacing quite well towards betterment. It is, actually, a lot better than other institutes. But I recommended FAST because they give very touch time to students making them learn the sense of accomplishing something good in the timeframe. There are other factors too. I am studying maths, computer and stats in college.can I do software engineering after this .please guide me what can I do after this. Can you please tell me how to apply for admission in FAST university.Their scholarship programs and fee structure?AND what is the diff b/w computer software and computer science? asslam o alaikum! sir. i am mazhar. i want to know the ans of some qus. please guide me. allah pak apki sehat or izat ma brkt ata kre. ameen! sir. many b.sc (double math phy) 2nd divion c ki hai from ajk uni. ab smj ni a rai next mcs kron ya msc… from schol to uni mane kbi b computer ni parha. but shok ha mcs ya software eng krne ka and i hope k ma kr sakta hon. please tel me what should i do? mje kon c uni ma adms lena chaie or bsc ma 2nd divion ho to fee ma consection o sakta hai kia…. please guide me mcs is good or software eng? and fee structure b send kr dain please…..
Dear, Mazhar I will suggest you to proceed higher education in Master of Computer Science MCS. This is better option for you. Because various students are not acquainted with market criteria after attaing their degrees. Therefore, I would suggest to step forward for MCS. University of Arid Agriculture and International Islamic University is affordable for you. Various universities is offering spring admission such as Comsats, International Islamic Univeristy. Therefore, you would apply online through official webpage of univeristies. is Bs software engineering is offered in FAST LAHORE??? no BSSE, FAST University Lahore offered BSCS (Computer Science). BSSE & BSCS both are different degree one is enginerring and other is non engineering. Secondly, FAST University Islamabad is best for BSCS as compare to do BSSE from NUML University. FAST University allow to apply in admission with 50% percent makrs. sir u have ranked buitems at no 4 but people say that its degree dont have any value in punjab. please give me some solid reasons for putting it on no 4. i want to do software eng i have 95% inmatric and 85% in fsc. ur comments on it will be much regarded sir. I have 68% marks in fsc (eng) And I am from rwp which Uni is Best for me for SE?and what is fee Structure?I am going to apply in Islamic Uni What’s your view about that?Is it good? IIUI International Islamic University is not good for Software Engineering, IIUI is good LAW (LLB). COMSATS University and FAST University is good CS and SE. Sorry dear you will apply after Intermediate. sir meray matric main 65 percent fsc main 59.81 percent maeks hain ain engineeering karna chahta hn koi chance hai kisi university main..
BSCS from Fast University Islamabad and BSSE, BSCS from International Islamic university. 50% eligibility in both universities. COMSATS University Is best for Software engineering in Islamabad. Semester fee RS 78,500 and tuition fee is Rs 22,000. Sir Syed University of Engineering and Technology in best for Software engineering in Karachi. 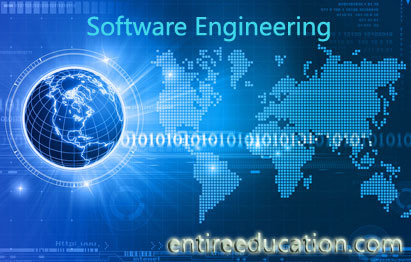 Software engineering has best Scope as compared to other Programs. These universities are best for Software Engineering are as follow. Abhi,Sir mujhy guide Kary Ky main Summer vication main konsa Academic Course join Karo jo aaty mujhy Software engineering main help Kary. Oar sir koi best Accadamey bhi bta dy. Web designing (HTML/CSS) Course is better for you. You ask for best Academy, i can’t suggest because i don’t no in which city you live. Sir.can you plz tell me the merit for software engineering in comsat islamabad.